Perfect in every season, Adelaide promises exceptional food, wine, art and shopping, as well as a fizzing bar scene and world-class events. Fly non-stop with Air New Zealand four times a week from Auckland to Adelaide. South Australia's capital is a city that celebrates the art of living well. Every wine lover has heard of the Barossa, Clare and McLaren Vale wine regions, but not many realise there are 270 cellar doors across South Australia and that Adelaide was recently named a Great Wine Region of the World. Many wineries complement their vintages with a delicious menu featuring local produce, so it’s easy to find food and wine matches made in heaven. Known as the '20-minute city', Adelaide is compact, confident and full of character. There's a lot to do, and everywhere is close by. So, where to go and what to see? Jump on a tram to Glenelg and 20 minutes later you'll be walking barefoot in the sand. Or perhaps you have an appetite for culture? Stroll for 20 minutes and you could be checking out the Art Gallery of South Australia, South Australia Museum (home to Australia’s largest collection of Aboriginal artefacts) and the beautiful Adelaide Botanic Garden. Right next door is the National Wine Centre, which showcases hundreds of wines from across the state. If you're travelling with kids, the Adelaide Zoo has giant pandas! Another 20 minute wander will lead you to Adelaide Central Market, where you'll discover all the flavours South Australia is famous for. Open Tuesday to Saturday, it's 'the pantry of the city'. Grab a coffee and a bite at one of the market eateries, then stock up on deli products and freshly-baked patisserie goodies for later. Consider a day trip to Mount Lofty or something more substantial like the Epicurean Way road trip to McLaren Vale, Adelaide Hills, Barossa and Clare Valley. Places to go in Adelaide for shopping are concentrated around Rundle Mall, the first shopping area in Australia to be pedestrianised. Today there are more than 700 retail stores in this precinct, which is memorable for its gorgeous heritage buildings and amusing outdoor sculptures. To find some of the best restaurants in Adelaide, head for Rundle Street East or Gouger Street. After checking out the Adelaide city attractions, it's fun to venture beyond the city limits. Consider a day trip to Mount Lofty in the Cleland Conservation Park and Hahndorf, or something more substantial like the Epicurean Way road trip to McLaren Vale, Adelaide Hills, Barossa and Clare Valley. Or you can get really carried away with a super-size road trip. Southern Ocean Drive, from the Southern Beaches to the state's south east, is part of the Melbourne to Adelaide touring route and features quaint fishing villages and historic towns. Penola was home to Australia's first Saint - Mary MacKillop. 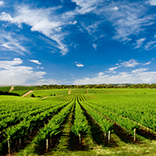 As a bonus, right next door to Penola is the famous Coonawarra Wine Region, home of big, bold, award winning reds. Adelaide is also the perfect jumping off point for a Murray River experience. Australia's longest river, the Murray is continuously navigable for nearly 2000 kilometres and its part of the third-largest water catchment on the planet. There are several ways to appreciate the Murray River, including luxury five-star accommodation at The Frames, cruises, houseboats, canoeing and fishing. Or you can drive from river town to river town, all the way to the New South Wales border. If your main aim is to relax, a cruise on the historic Murray River Princess is ideal. And for more adventurous travellers, the four-day Murray River Walk is one of the Great Walks of Australia, with accommodation along the way on luxury houseboats. It's no secret there are kangaroos on Kangaroo Island, but did you know that it has Australia's highest concentration of koalas? If you've never seen a koala in the wild, this island will deliver the furry encounters you’ve been craving. A holiday here will also feature kookaburras, echidnas, seals and a raucous collection of Australian birds. There's wildlife everywhere, as well as beautiful beaches, amazing rock formations and forests. One of Australia's driest cities, Adelaide is always lovely - though winters can be cool. Summer and autumn, from December to April, are particularly excellent because it hardly ever rains. In January, Adelaide averages 10 sunshine hours a day! Obviously this will depend on your tastes and what you want to do. As a rough guide, not including air travel and hotels, you should allow about AUD $150 to $200 a day per person for food and entertainment.